Lindsay Charles Letcher of Kalamazoo, Michigan passed away October 16, 2018. He was born in Detroit, Michigan to Herbert and Isobel Letcher. Lindsay is survived by his wife Elizabeth Stannard-Letcher, son Kevin Letcher, daughter Julie Smith (Letcher) and her husband Nick Smith., four grandchildren, brother Leith Letcher and sister Cheryl Huising (Letcher). Lindsay graduated from N. Farmington High School ('64) Michigan State University ('68) and Western Michigan University. He was in the Air National Guard in Battle Creek, Michigan, for ten years. Lindsay worked for the Upjohn (Pfizer) Pharmaceutical Co., in finance, for the International Division, and Animal Health , for thirty-four years until his retirement in 2003. He began a second career with Jaqua Reality from 2003-2017. His love for Michigan State University, and MSU Football/Basketball brought years of happiness to his life. Lindsay loved sports, antiques, living on Eagle Lake and wintering in Venice, Florida. Lindsay was a kind, gentle and humble man.The love he had for his family, and the time he spent with us, brought him incredible joy. In place of flowers, donations to the American Cancer Society and Wings Home Hospice in Allegan, Michigan are appreciated. A gathering of friends and family Open House to celebrate Lindsay Letcher's life will be held on his birthday Sunday, November 4, 2018 at Michigan State University in the Student Union, Lake Huron room (3rd Floor) from 2-5 pm. 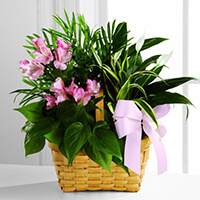 To send flowers to the family of Lindsay Charles Letcher, please visit our Heartfelt Sympathies Store. We encourage you to share any memorable photos or stories about Lindsay. All tributes placed on and purchased through this memorial website will remain on in perpetuity for future generations. Love y’all and miss you. Lindsey will be sorely missed. He was such a friendly and cheerful guy. Sorry for your loss Lizzy. Lindsay's friendship goes back a long way. Janice babysat Kevin. I worked with Lindsay most of those thirty-plus years in international / agricultural finance at Upjohn. He was a great sport and athlete. He played on our company softball team, TEDROW'S RAIDERS, enjoyed golf outings. He shared our love of antiques and was a dealer in our shop. Most of all a LOVING FRIEND. We are blessed to have had Lindsay in our lives. Lindsay was such a nice man, and what a sweet love story he shared with Elizabeth... I know him as a devoted husband, father, grampa & friend - he will be missed all of us. Lindsay was one of the nicest guys I ever met. He had a contagious smile and was always more than willing to help me out. I was truly sorry to hear of Lindsay's passing. Lindsay was my financial analyst while I was with Upjohn International Animal Health. We took many lengthy international budgeting trips together. Lindsay was not only ultra competent as a financial analyst, but his winning personality made it a pleasure to work with him. I worked with Lindsay for a number of years at Upjohn International. He always had a ready laugh and was a steady, reliable colleague. He also was quick to offer assistance to newer employees. I send my condolences to his family. I never saw Lindsay without a smile. He was fun to work with, fun to be around and a very good softball player! He was a good friend and good for Upjohn.